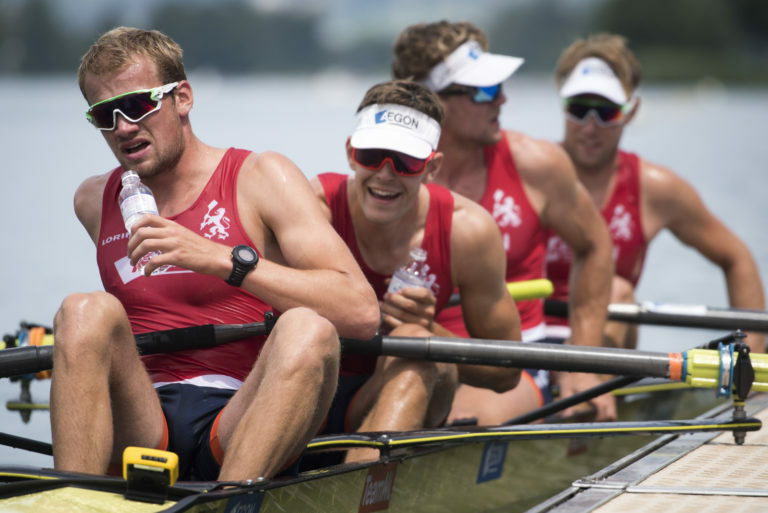 The 2018 World Cup III in Lucerne is fast shaping up to be a vintage edition of the famous regatta. 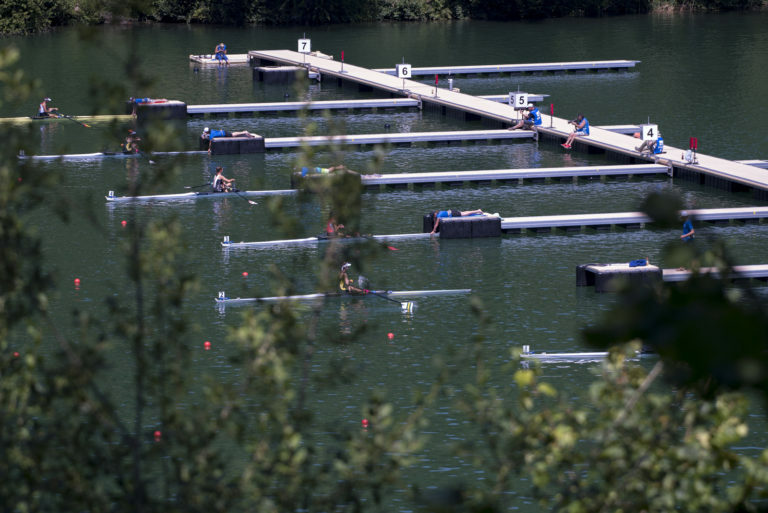 Passing the mid-point in the three day event on the beautiful blue waters of the Rotsee, there has already been much drama and tight racing to whet the appetite ahead of Sunday’s finals. 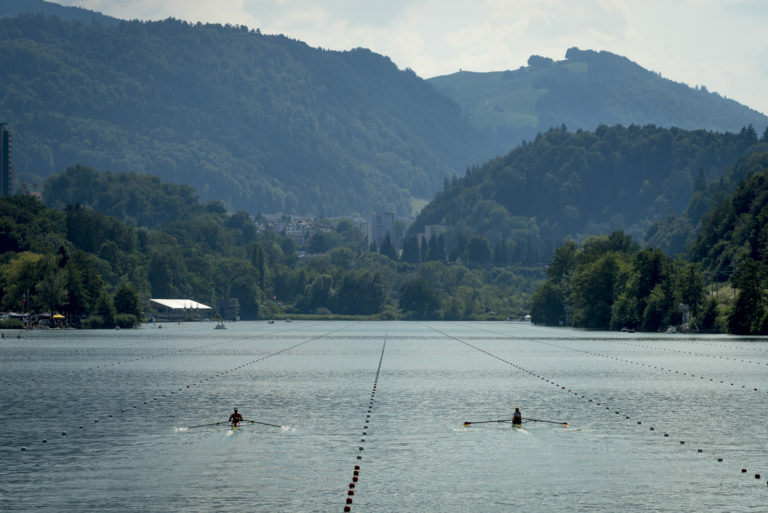 At the start of day 2, conditions in Lucerne remained hot, humid and largely flat, with only a light tailwind to tickle crews along the 2km course. The M2- event kicked things off in the A/B semi-finals this afternoon. The Croatian pair, who were favourites to win tomorrow’s final, were disbanded after Martin Sinkovic withdrew from racing today for medical reasons. The still healthy Valent Sinkovic chose to race on regardless, with substitute Karlo Udovicic on board, doing well to finish fifth as a scratch pair today. In the Sinkovic’s absence, it was Serbia who leapt into the lead early on, with Spain and GB following closely behind. Positions in the top three qualifying spots remained unchanged all the way to the line. Just off the qualifying spots were O’Driscoll and O’Donovan of Ireland, who raced last season as lightweights but have now switch to the heavyweight event in a bid to qualify next year for the Tokyo Olympics. 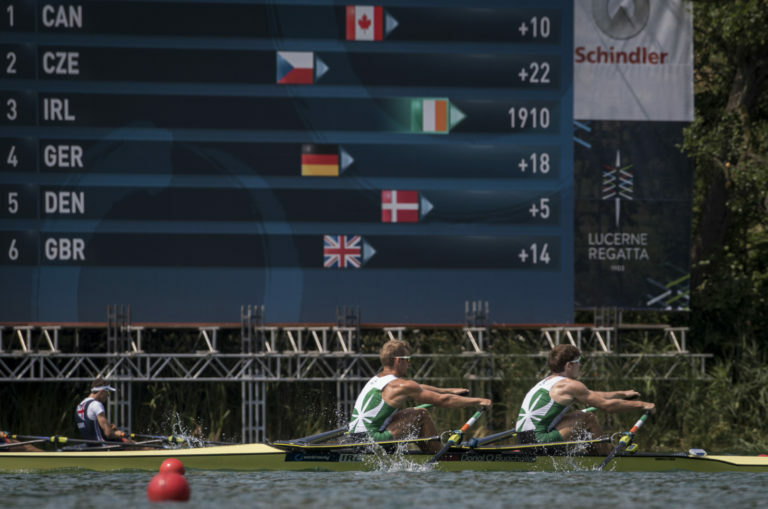 The Irish lightweights did well to finish fourth and will contest the B final tomorrow. Photo The Sinkovics (CRO) winning their quarter final in Lucerne on Friday. Martin Sinkovic was forced to withdraw for the semi finals on Saturday due to a back injury. In the other M2- semi, It was nip and tuck to half way, with only 0.13 seconds between the Onfroy brothers of France, Brake and Murray of New Zealand and Helesic and Podrazil of the Czech Republic. The French managed to just hold onto the lead over the finish line, with New Zealand taking second. The Czech pair, who scored a surprise win over the Sinkovic brothers in Linz at World Cup II last month, finished in the third and final qualifying spot for tomorrows A final. In the M4- semis, Australia demonstrated once again they are the crew to beat in this event. 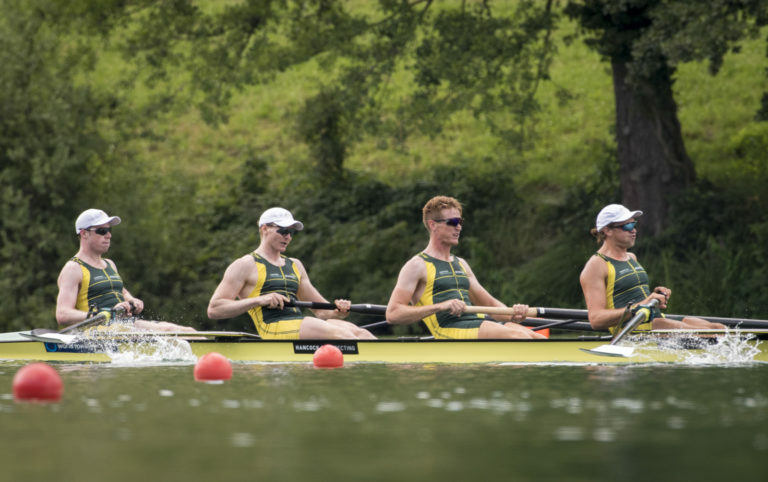 Settling into their trademark high-rate rhythm, Australia cruised at 39 strokes per minute through the halfway mark, despite holding a comfortable open water lead. South Africa and Russia were left to battle behind. Australia eventually relaxed the pace in the last 500 and cruised to a two second lead. South Africa took second and Russia third. In the other M4- semi, it was the Netherlands who took the commanding lead, crossing the line just under four seconds ahead of GB, with the German four a further second behind in third. In the W1x, semi final one saw Annekatrin Thiele of Germany blast off the line ahead of Sanita Puspure of Ireland and Magdalena Lobnig of Austria. Eventually Thiele conceded the lead to Puspure and then Lobnig as the three of them separated from the rest of the field and held their positions as they cruised over the finish line. The other W1x semi was more dramatic. Denmark’s Udby Erichsen shot into the early lead ahead of Swiss world champion Jeannine Gmelin, before being overtaken by the home favourite. Australia’s Maddie Edmunds and USA’s Kara Kohler looked set to battle for the final qualifying spot, but as Erichsen fell further back off the pace, it was Carling Zeeman of Canada who appeared to come out of nowhere in the third 500m, overhauling everyone but Gmelin to finish second, while USA’s Kohler won the battle over Edmunds for the third and final qualifying spot. The men’s singles was equally explosive, with both Germany and New Zealand using World Cup III as a selection race ahead of the world championships. 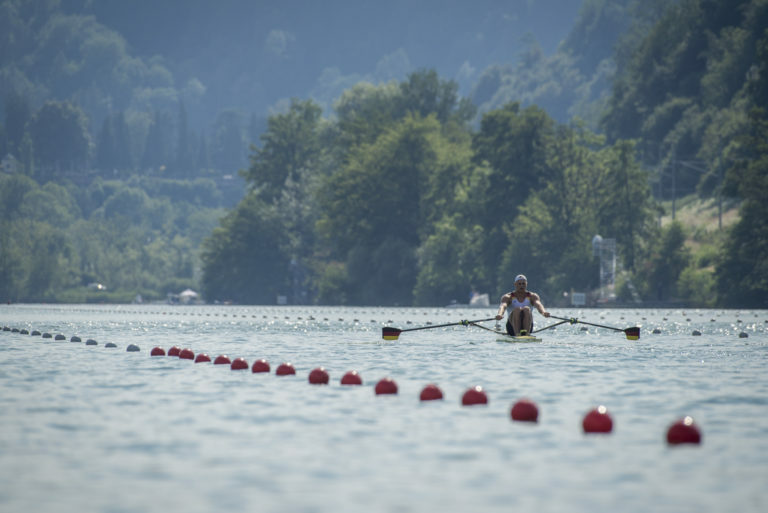 In semi final one, Oliver Zeidler and Tim Ole Naske were the German scullers both vying for the worlds spot while Mahe Drysdale is staging a come back after his year off in 2017. But it was Mindaugas Griskonis of Lithuania who took the early lead, followed by Ole Naske. At halfway, Griskonis and Ole Naske were still leading the field, but Griskonis was fading fast and Drysdale and Zeidler were starting to motor. As the line approached Zeidler emerged as the leader, followed closely by Drysedale, with Ole Naske taking the final slot. 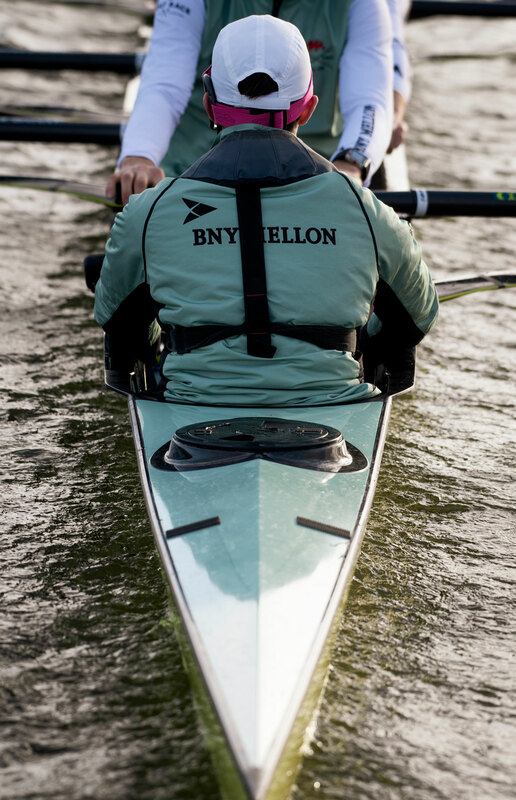 Zeidler is brand new to the sport, with this being his first season racing internationally on the water. He is clearly a class act and it will be exciting to see what he can produce in tomorrow’s final. 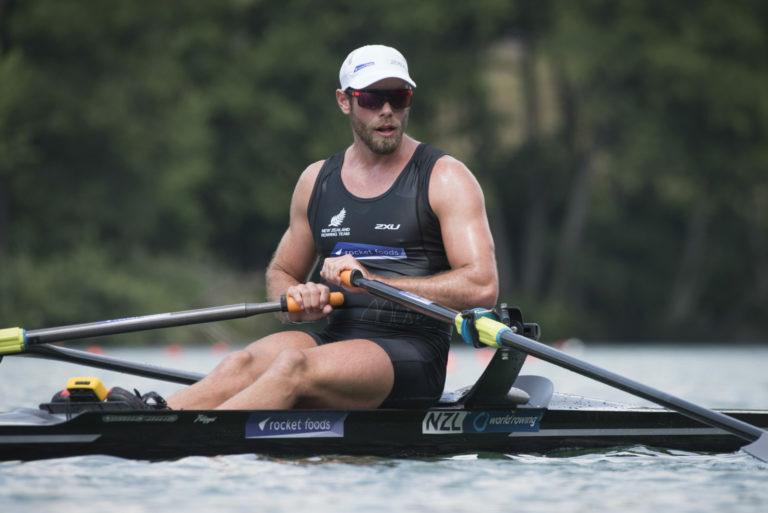 Drysdale’s performance here, with his Henley win last weekend further confirms his rapid return to form after a fairly lack lustre domestic season earlier this year in New Zealand. Can he rise to the occasion again tomorrow? The other semi final saw the reigning world champion Ondrej Synek take on the world best time holder Robbie Manson. Manson lead from start to finish, with Synek looking like he was conserving his energy for tomorrow’s race. It was Switzerland’s Barnabe Delarze who, much to the home crowd’s delight, mounted the sprint finish of the day to just nip over the line in the third qualifying spot. Photo Robbie Manson lead his semi final from start to finish in Lucerne today. Will Synek find another gear to challenge him tomorrow? 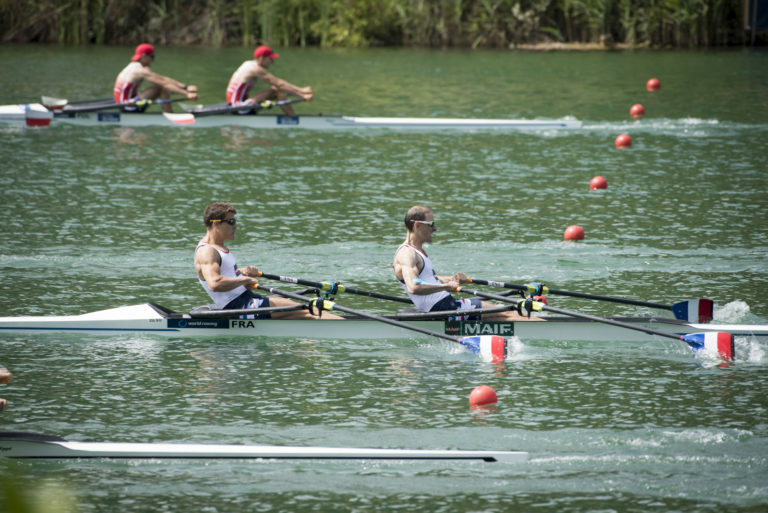 In the Lwt M2x the Danish duo of Emil Espensen and Alexander Modest held a narrow lead in a tight field for much of their race before eventually being overhauled by the Irish O’Donovan brothers. The O’Donovans emerged winners ahead of Denmark with Canada sprinting into third place. The other semi was equally tight, with Belgium, New Zealand and Poland eventually taking the first, second and third places. Frenchman Jeremy Azou, the world and Olympic champion has now retired and France have yet to find a worthy replacement to join Pierre Houin, as demonstrated by their fourth place finish. France find themselves in an unfamiliar position, contesting the B final tomorrow. 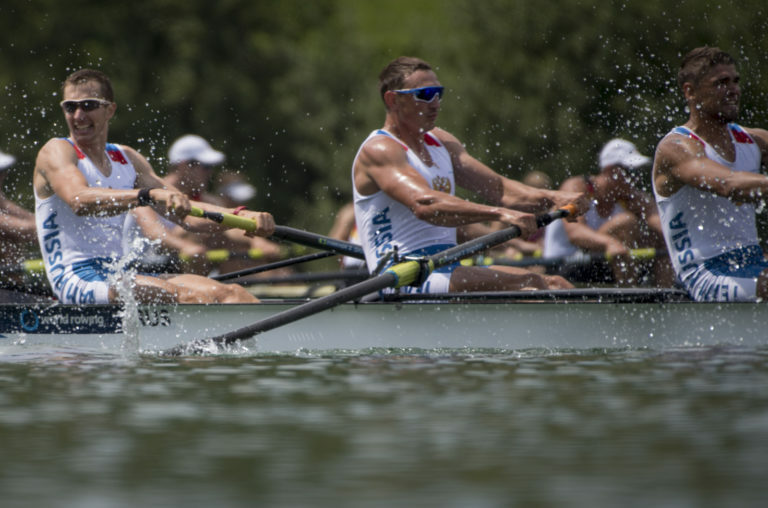 Tomorrow will see the A finals contested in the Olympic events, starting with the W2- at 10.05 am local time.